Democratic Senate candidate Kyrsten Sinema, of Arizona, once described stay-at-home moms as leeches in a 2006 interview. 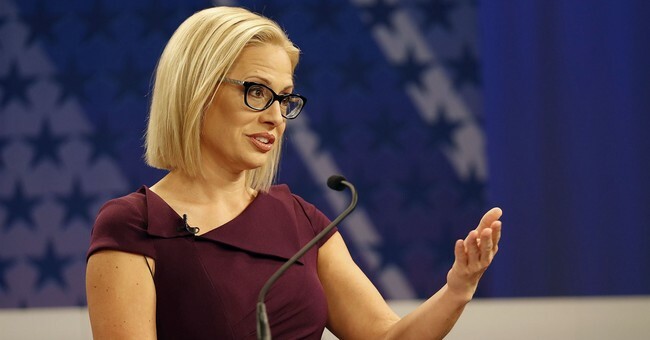 In an interview with KTAR on Wednesday, Sinema was asked if she considered herself a “proud Democrat,” a descriptor she balked at, insisting that she’s a “proud Arizonan,” and that she doesn’t think either political party is doing a good job. So, she’s not a proud Democrat, she hates stay-at-home moms, tried to summon witches, and thinks her state is full of crazy meth heads. It seems the middle of the road and rational Sinema was never real. Then again, Democrats seldom are who they say they are. To liberals, we once again see that feminism is something that they feel is only meant for them. That's fine. These folks are the most miserable people on the planet. The Left can keep them.